Posted on July 6, 2010	by Lou Murray, Ph.D. I hope you all had an enjoyable Fourth of July. Happy Birthday America. Another 16 years, and our country will be 250 years old. Henrietta is finished with her molt and is laying again, so we don’t have to be so stingy in our use of eggs. Henny Penny is still breaking her eggs. The shells are just too thin. I’ve upped the amount of oyster shell and limestone that I give the hens, but it isn’t helping her. She seems to be molting too, so I’m hoping that this is a temporary problem. Who knew that keeping chickens would be so challenging? Summer is in full swing and my garden is finally producing. But a baby opossum came to visit last night and raided my nectarine tree. I saw the critter and was surprised that something so little could have done so much damage. The tree was loaded with fruit and the little critter broke a couple of branches. Maybe the rest of its family came with it and I just didn’t see them. I’ll set the live trap tonight and see if I can catch it/them. But the critters are leaving me some food too. The root on the big parsnip was nearly a foot long. I had to dig it out because it wouldn't pull out. Yet it was tender and delicious. I harvested the first parsnips I’ve ever grown, both of them, and the one carrot in that area that survived the marauding opossum and raccoon of earlier this year. I roasted them along with a whole chicken, some potatoes, onions, and chopped red chard stems, and a cup of white wine, with a little sea salt and thyme for seasoning. I used Heller Vineyards organic chenin blanc. The chicken and vegetables were delicious! The parsnips had a delightful sweet taste like carrots, with a texture between that of carrots and potatoes. Why don’t Americans eat more parsnips? They’re delicious! 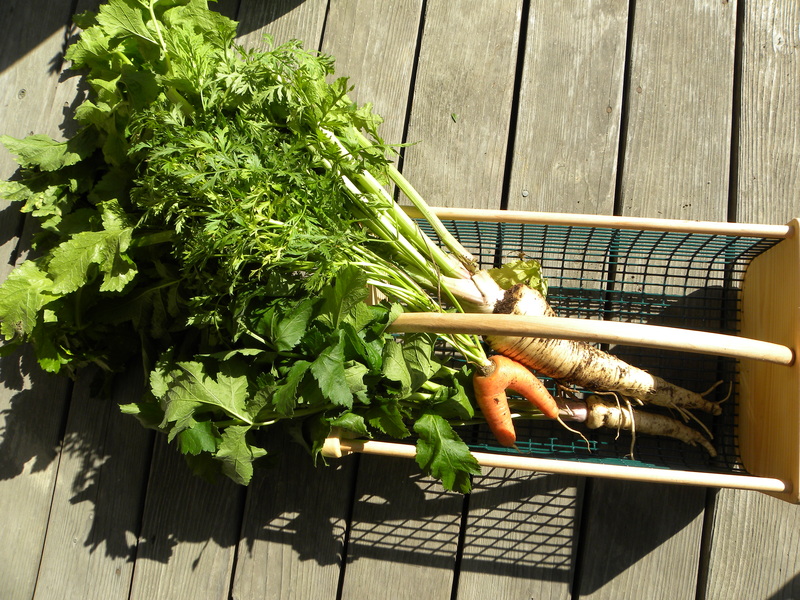 The carrot had a double root, but the parsnips are two individual ones. A fellow gardener gave me some dill just when my first batch of Tendergreen cucumbers was ready to harvest. The cukes looked the perfect size for dill pickles, so I made my first-ever batch of dill pickles. Usually I make sweet pickles, no dill. Two more days in the refrigerator, and they’ll be ready to eat. Today I’m going to make a batch of pesto from basil that another gardening friend gave me. Summer is such an exciting time in the garden, so much abundance. 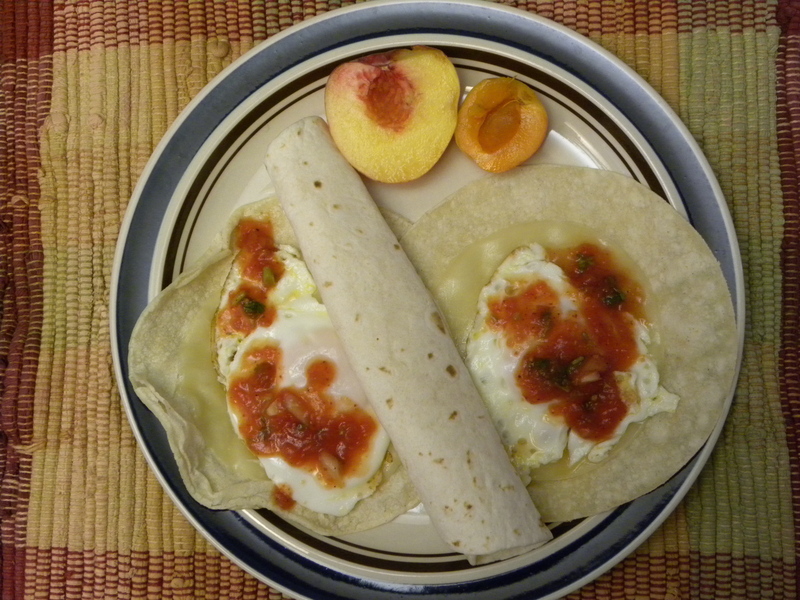 Huevos Ranchero with eggs from our hens and apricots and peaches from our trees. 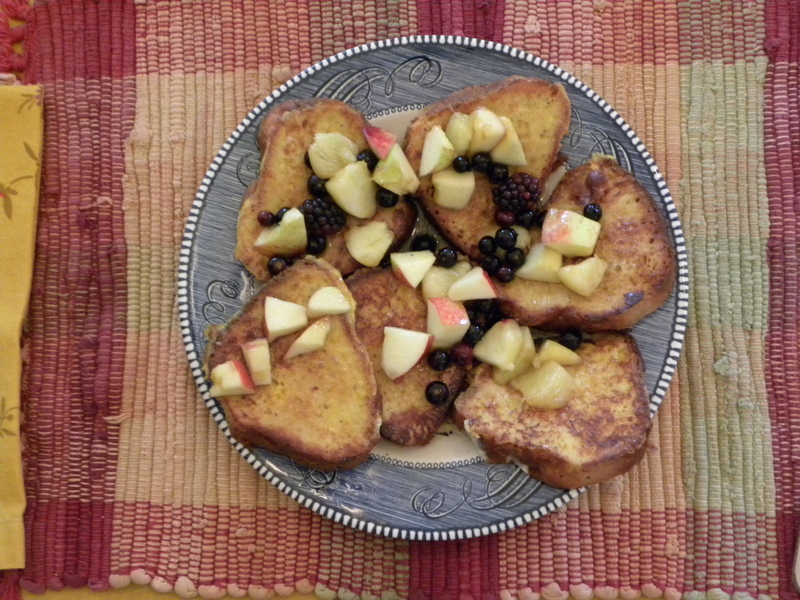 French toast with eggs from our hens, homemade Sally Lunn bread, and fruit from our garden. Here’s my harvest for the past week, ending July 4. This is the best week of the year so far. I’m really enjoying tracking my harvest this way. I had no idea I was growing this much food. If you had a harvest, visit Daphne’s Dandelions and post your results. This entry was posted in Uncategorized and tagged backyard chickens, Fruit, Harvest Monday, hens, opossum, photos, vegetable garden. Bookmark the permalink. I’m envious of anyone’s fruit harvest as usual because I couldn’t grow them here. I like your description of parsnip, I’ve never grown it because it takes so long from seed to harvest, and I don’t have room for long term residents, maybe I’ll try a large deep container so it won’t take up precious real estate and stay out of the way. I have never grown or eaten a parsnip. After reading your description…I think that I will have to try them. This is the first year that I have actually kept track of my garden harvest. It’s amazing to see how much is grown. Hi Robin, do try parsnips. 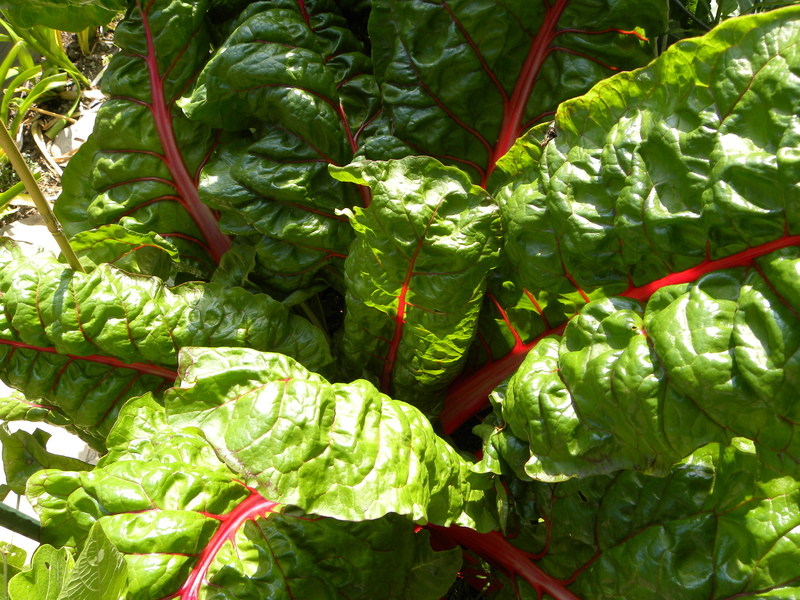 These were the first that I had grown or eaten and they were fab. I adore parsnips. They are my daughter’s favorite vegetable too – I like to slice them up and simply stir fry them in some butter/olive oil until tender and just starting to brown. A little sprinkle of salt and they are perfection. Hi KitsapFG, that parsnip recipe sounds great, kind of like one I have for carrots. Saute them in a bit of butter until brown and sprinkle on a bit of sugar and salt, and some tarragon if you like it. Now I wish I had more parsnips to try that. Next year. I love your carrot! Look like pants! Personally I’m a big fan of parsnips, but I’ve never had much luck growing them (or any of that family, really…). I’ll keep trying, though! They are one of my favorite additions to a beef stew. Good luck with the parsnips, Taylor. Possums have been active here too but I’ve managed to trap 3 of them this year. I hope you have good luck with your trapping! Hi Villager, fortunately the critters went away. I haven’t had any problems for a couple of weeks now. Oh my goodness what a wonderful harvest! Your stone fruits look delish! I”ve never grown parsnips before. Never actually though about them! I will do a little research on them, and probably put that on my list to plant for next year. Good luck trapping your possums! Hi Lori, do give the parsnips a try. They’re as easy as carrots, but take a bit longer to ripen. Parsnips are looking great. 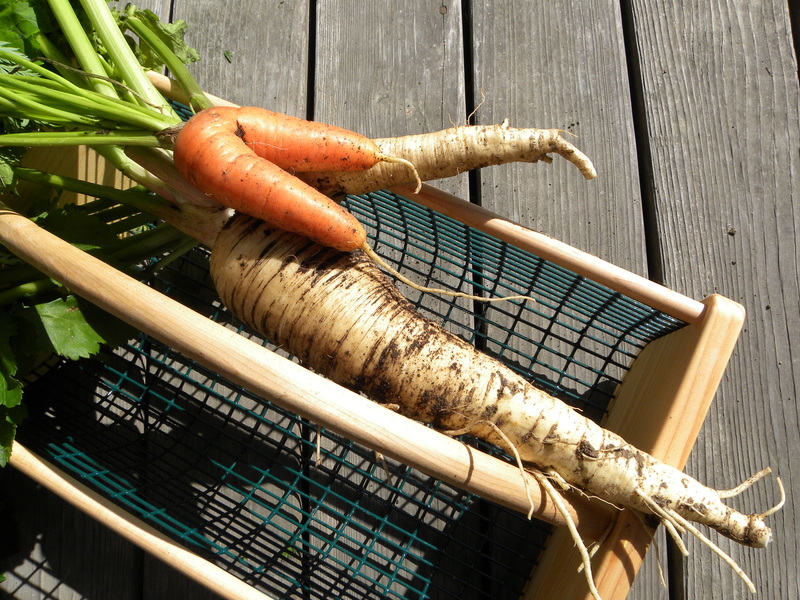 i love parsnips, but don’t grow them. They take too long to germinate and with my weedy soil this is just not an option for me. But I love eating them! 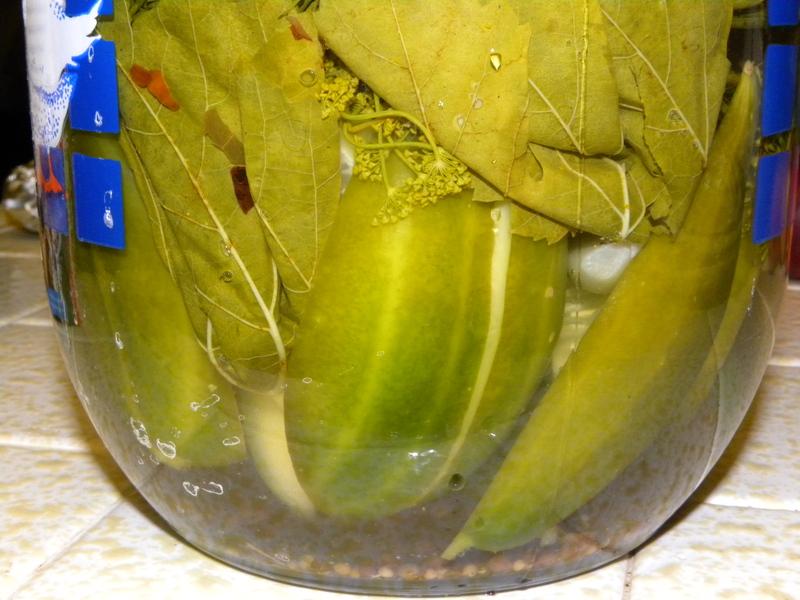 Dill pickles are the best (especially with small cucumbers). Vrtlaricaana, it’s interesting how different vegetables and fruits do better in different climates. I hope your garden in Croatia is doing well this summer. I’m envious of all the strawberries you planted. Too bad you lost some of your fruit harvest. 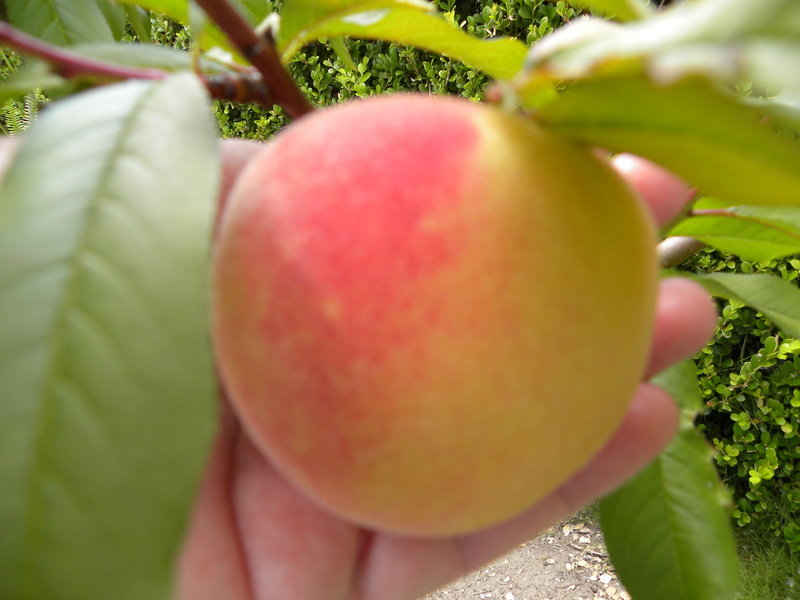 I so love peaches. I love looking at the totals at the end of the year. I’m always amazed by how much it is. 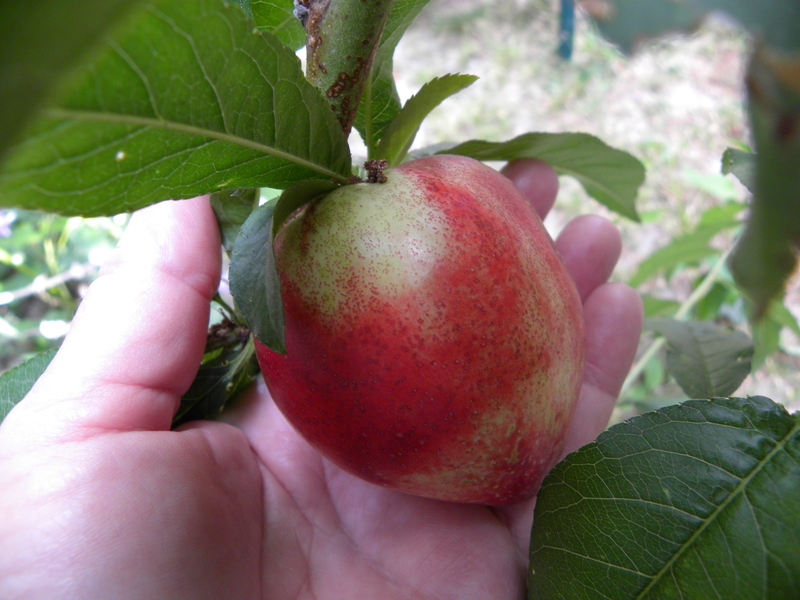 Hi Daphne, thanks to you and your blog, now I’ll know how much fruit I actually grew this year. It’s a surprising amount so far. Mmmm, tree fruits. 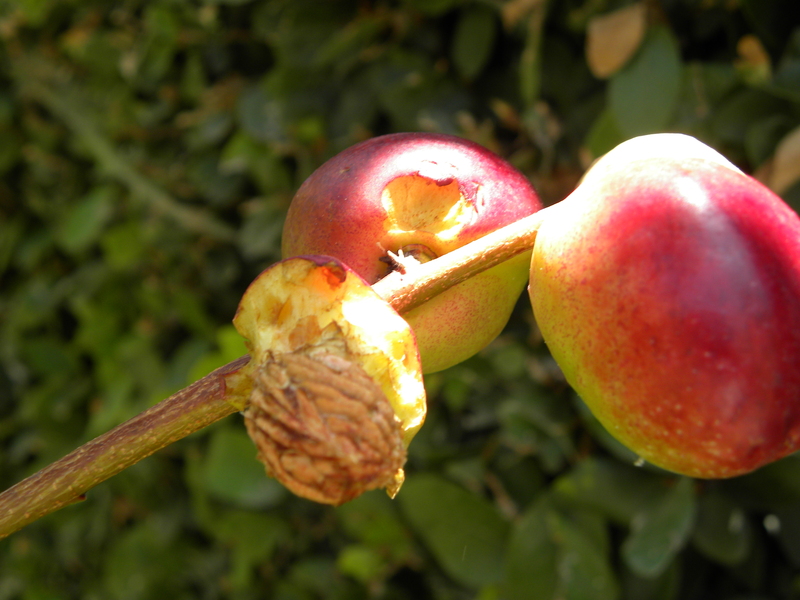 One of these days, when I get more vegetable gardening experience under my belt, I will have to try my hand at fruits. You have piqued my interest with your parsnip. I’ve seen them in grocery stores, but I don’t think I’ve ever had them before. Are they difficult to grow, or is it just that they take a long time to get to the harvest stage like some of the other people mentioned? Hi Thyme, the parnips were ridiculously easy to grow. I just planted the seeds in loose soil in a raised bed and let them grow. Only two of them survived the digging opossums, but those two were great. They do take a long time to grow, so you have to devote that section to parsnips for about three months. 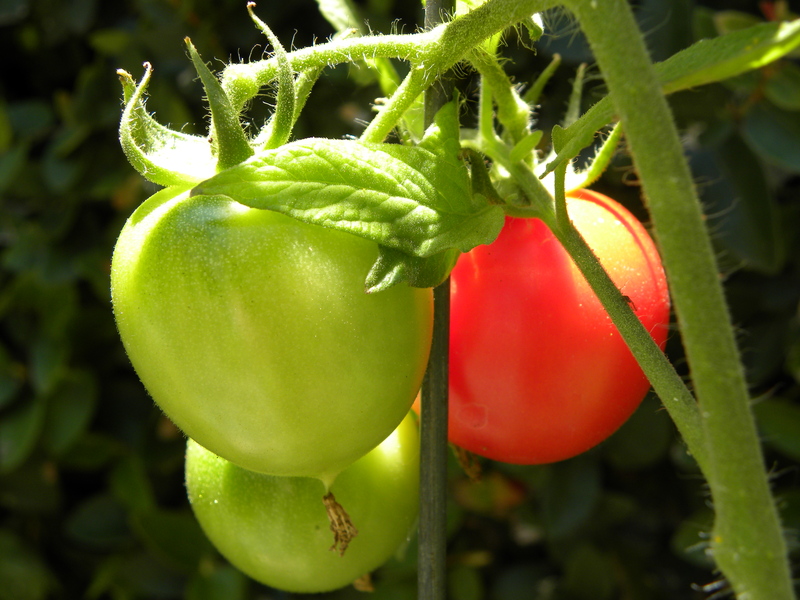 Wow – what an amazing harvest – those toms look fabulous, better keep the opossum away from them too. I love huevos rancheros and the sally lunn looks yum. Isnt summer great!?! Hi Freerangegirl, yep, summer is great. 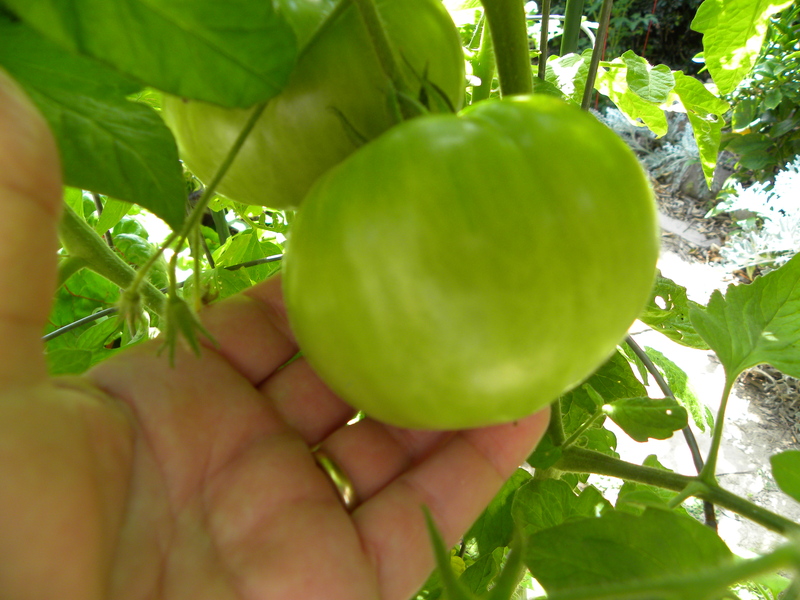 My tomatoes are just now starting to really come in, and so far the possums and raccoons are staying away.